It's finally here! 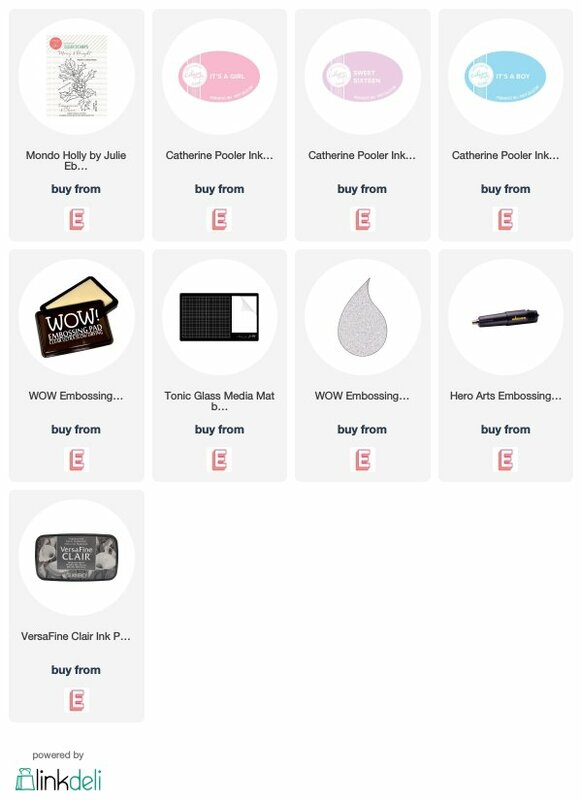 The November Essentials by Ellen release is available now! 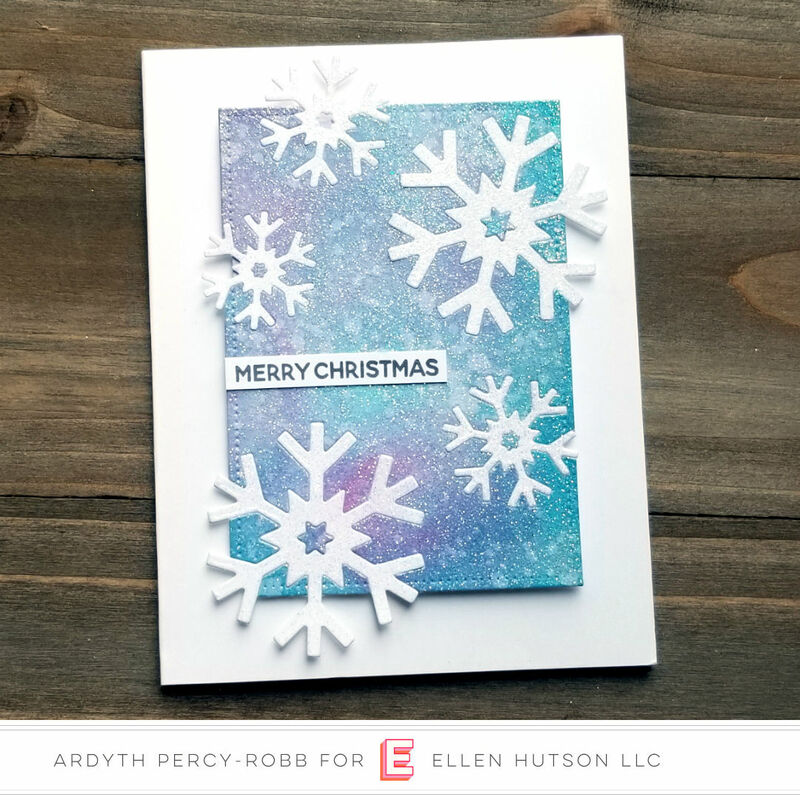 To kick off the celebrations, I made this frosty, sparkly snowflake card using the new Pop Up Mittens die set. I cut the snowflakes from white cardstock, and then blended a separate panel with blue, pink and purple inks. I cut snowflakes out of the blue panel, and then trimmed it with a rectangle die, knowing that some of the snowflake 'arms' would overhang the blue panel. I inlaid the white snowflakes and then coated the whole thing with Wow! Embossing Ink before embossing it with Neutral Sparkle embossing powder. I popped it up on a white cardbase and added a simple sentiment from Mondo Holly. Ohhhh so pretty. Love the inlaid flakes on that gorgeous background.